Bird flu is back. All farmers and keepers of poultry have been ordered by Defra to keep their birds indoors, separate and ‘safe’ from contact with wild birds. 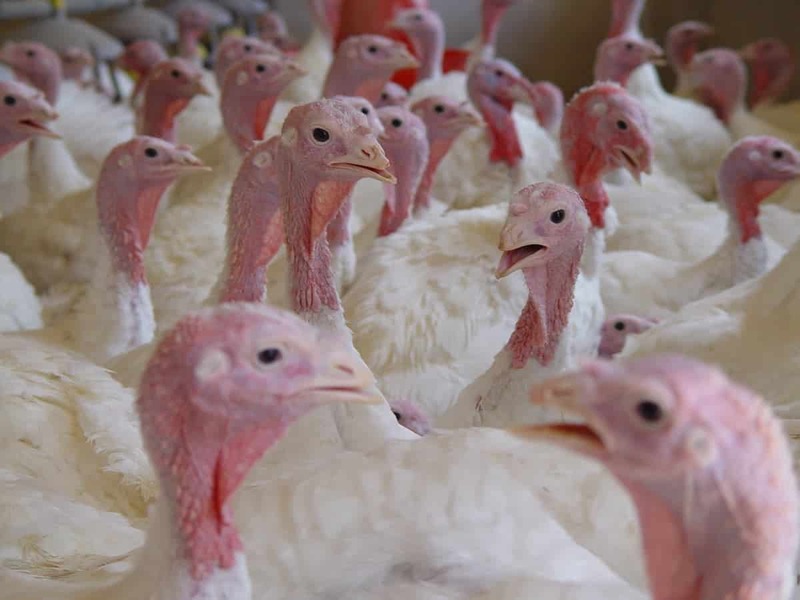 Just this week, a flock of 8,000 turkeys in Lincolnshire was diagnosed with the virus. Some have died and the rest are due to be culled. If bringing the birds indoors to ‘protect’ them from wild birds is the solution to preventing the spread of bird flu, why are we still seeing these outbreaks? Let’s look at the facts: bird flu has been present in wild birds for a long time, occurring naturally and rarely causing any serious illness. 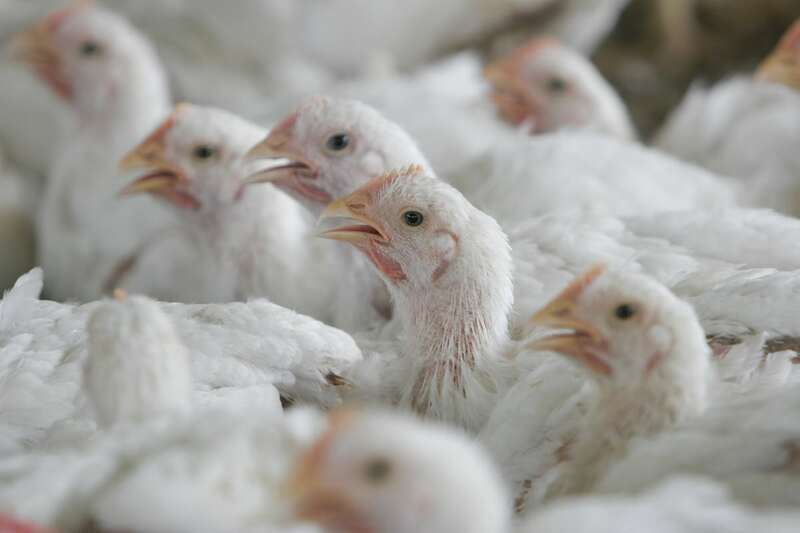 It’s when these strains of bird flu reach intensive farms – where animals are crammed together in small spaces – that the virus can mutate rapidly and turns into the highly-pathogenic, more dangerous strains which are causing the current outbreaks in Europe. Factory farms provide the perfect grounds for the virus to mutate. There are large numbers of new hosts to infect, suffering from stress and with poor immune systems. What was once a run-of-the mill disease has transformed into a severely destructive, highly infectious virus. From domestic poultry, the now-devastating virus made its way back to wild birds. Due to their migratory routes, wild birds are being blamed for the outbreaks we are currently witnessing, and the UK government’s response to the crisis is to order all poultry indoors. This will undoubtedly be a huge blow to the free-range industry, not to mention the welfare of free-range birds who are used to roaming freely. Data shows that the rise in outbreaks of new dangerous strains of bird flu coincided with the global rise of industrial poultry production. In the 20-year period from 1979 to 2000 there were three times as many primary highy-pathogenic outbreaks in poultry as in the previous 20 years. So who are the real culprits here? Wild birds, for being unwitting carriers of the virus, or the vast growth of the industrial poultry industry which gives the virus a constant supply of thousands of new hosts to infect – rapidly spreading and mutating the virus? My organisation, Compassion in World Farming, has been fighting to end farm animal cruelty for 50 years. I have seen first-hand the suffering endured by chickens, ducks and turkeys raised in intensive systems. In the UK, an estimated 72% of meat chickens are reared intensively, and for turkeys, that figure is nearer 90%. In intensive systems, birds will spend the majority of their lives crammed into windowless sheds, jostling for space with their fellow flock members. Many have been bred to grow so big, so fast, that their legs find it hard to support their weight. This leads to horribly painful leg disorders and means their hearts are not strong enough to cope with their unnatural sizes. Often, they will have been mutilated, having had part of their beaks cut off, to prevent injurious ‘feather-pecking’ behaviour. The Government needs to seriously consider the impact the order to keep birds inside will have on animal welfare and the burgeoning free-range industry. Crucially, they need to place greater emphasis on addressing the root cause of what seems to be worryingly frequent waves of highly-pathogenic avian influenza. We also need more transparency as to what is found during investigations into actual outbreaks. 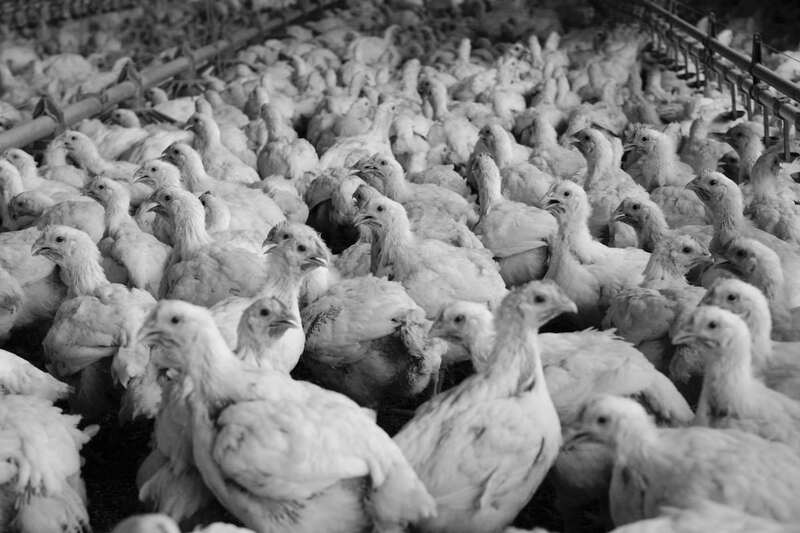 Where is the evidence that bird flu is being spread by wild birds, and not farm-to-farm? If we don’t address these questions now, we risk a scenario in which we are doomed to repeated and devastating outbreaks of bird flu for years to come. Scapegoating wild birds doesn’t help. We know who the real culprit is. Clearly spoken by someone who know nothing of modern farming. Bird flu originates in asia in back yard flocks. Philip Lymbery knows a great deal more about modern ‘farming’ than you David. Additionally he has a very highly qualified staff. Compassion in World Farming’s science is second to none. So not just in backyards in Asia do we get bird flu. It is the highly intensive chicken industry which promotes it. As a free range farmer I know the practicalities of this. Bird flu originates in Asia and is brought here by migratory birds. Free range birds have better immunity than housed birds but not to HPAI. No vaccine so have to take advice of real experts not a crowd of vegan and anti meat protestors. Maybe we shoudnt vaccinate our children for anything. Free poultry hav e a much better chance of fighting off infections as they develop a healthy immune system. Garden birds are not the problem. It is migratory wildfowl. If intensive farming was the problem are you prepared to pay more than double for it. Compare budget chicken to organic. The best production from poultry is from housed poultry. If a Bird isn’t happy or healthy it didn’t lay eggs. My poultry are laying more eggs since housing but I would rather that they were outside where they belong but it shows that cold wet weather effects them compared to climate controlled house. Well said Rosemary Marshall. Philip Lymbery is telling it as it is. I totally agree with what he says in his article. The sooner we see an end to intensive farming the safer our poultry and other intensively farmed animals will be. By being allowed some freedom to free range and live a natural life of pecking or grazing on grass and being fed a natural diet they WILL build up their own immune system. Well said Philip, it’s time someone told the powers that be who sit behind a desk all day pen pushing where the blame for this outbreak of Avian Influenza really lies.